If you are a Texan considering returning home to Texas for your wedding, then what could be more fun than going all out with a truly traditional Texan style celebration? 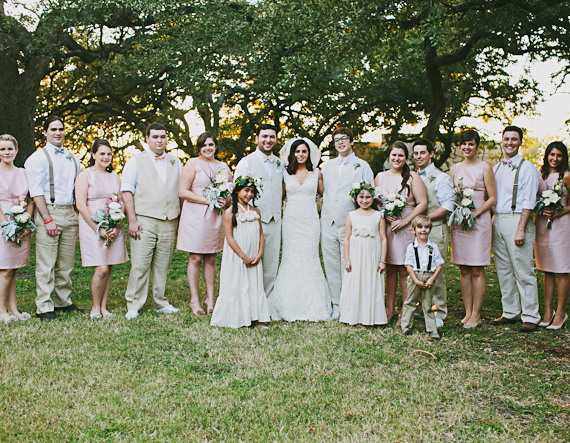 If there’s one thing everybody knows about Texas, it’s that everything is bigger – and that includes weddings! Here are some ideas for the perfect big day in the lone star state! When it comes to the food to serve at your wedding reception, whether you’ve gone for a beautiful Houston wedding venue like Chateau Polonez or somewhere more rustic and remote, you’ll want to keep it truly Texan – and that means forgetting fancy froufrou dishes and going big with a spread your guests will love! You can never go wrong with a whole lot of meat at a Texas wedding, so consider a high quality barbecue with great steaks, ribs, and of course the right BBQ sides. Tex Mex is also a great option for a celebration like a wedding, adding some spice to the occasion! The food isn’t the only thing you can go really Texan with for your wedding day. Texas has always incorporated traditions from both North and South of the border in its marriages, and so there are all kinds of quirky, interesting things you can do to get that traditional feel. One popular tradition is ‘the money dance’ – this is where people pay to get a dance with the bride or groom (sometimes by pinning notes to their clothes, but also, more recently, by having the best man collect money from willing guests in a cowboy boot – well, getting a cowboy boot into the event somehow is always a good thing!). This is nice because it is a way to gift the couple money but also for people to get to spend a little time with them one on one on the big day – something that can often be difficult for guests! Another sweet Texan tradition, that is actually popular throughout the South, is for the bride to present her groom with a special cake she’s made or decorated (or had made to her design). The idea is that the cake is decorated to reflect her future husband’s interests and personality, so it can show his favorite sports, movies, hobbies, or anything else she thinks he will appreciate! It’s considered a nice touch because so few wedding traditions focus on the groom, but it can also be really fun for the bride to design, make and present to him. Of course, you can incorporate a Texan theme into all kinds of elements of your wedding, from the clothing you choose for the wedding party through to the drinks you serve for the toast. Adding in traditions associated with your heritage if you are Texan can be a way to make your wedding feel truly yours, or, of course, if you’re not Texan but wish you were, it can make for a great destination wedding theme!